SIOUX FALLS, S.D. (GoJacks.com) –Macy Miller continued her dominance at The Summit League Championships. With 30 points and career-tying 11 rebounds, the South Dakota State senior guard recorded her third double-double in a title game as the Jackrabbits recorded an 83-71 win over No. 25 South Dakota Tuesday afternoon in the Denny Sanford PREMIER Center. 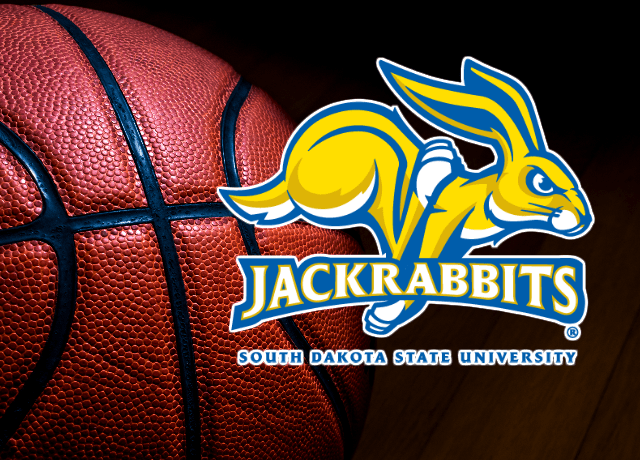 South Dakota State won its 16th-straight game and will enter the NCAA Tournament at 26-6. South Dakota, ranked No. 23 in the USA Today Coaches Poll, falls to 28-5. USD was led by Allison Arens’ 26 points. Miller, the championships’ most valuable player for the third time, scored nine-straight points in the second quarter as the Jackrabbits rallied from a 28-18 deficit to take a 35-32 lead with her 3-point field goal with 4:05 left in the half. The Jackrabbits never trailed again, going on a 27-6 run for a 45-34 lead after Rylie Cascio Jensen made back-to-back 3-point field goals with 2:06 remaining. During the run, the Jackrabbits forced USD into a 2-of-11 shooting performance. During the comeback run, Miller became The Summit League’s all-time leading scorer with a conventional three-point play with 4:51 left. Miller surpassed Oral Roberts’ Kevi Luper (2009-12, 2,277) and now has scored 2,295 points.